Feathers @ Creative with Stamps! 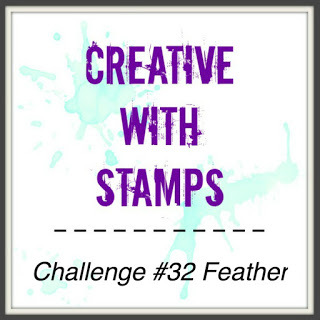 I found a “new to me” Challenge site today called Creative with Stamps and their challenge this time around is feathers. 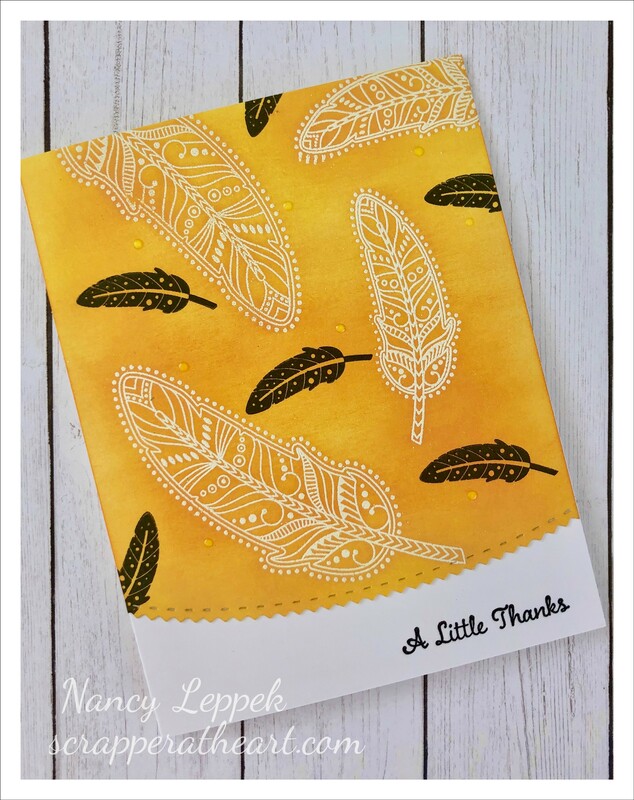 The feather set I used above is from Papertrey Ink. It was a fun and easy card to put together. I always enjoy the results from the embossed resist technique! The fun edge die is Papertrey too. I used Oxide inks for my background and I believe the sentiment is from Verve. 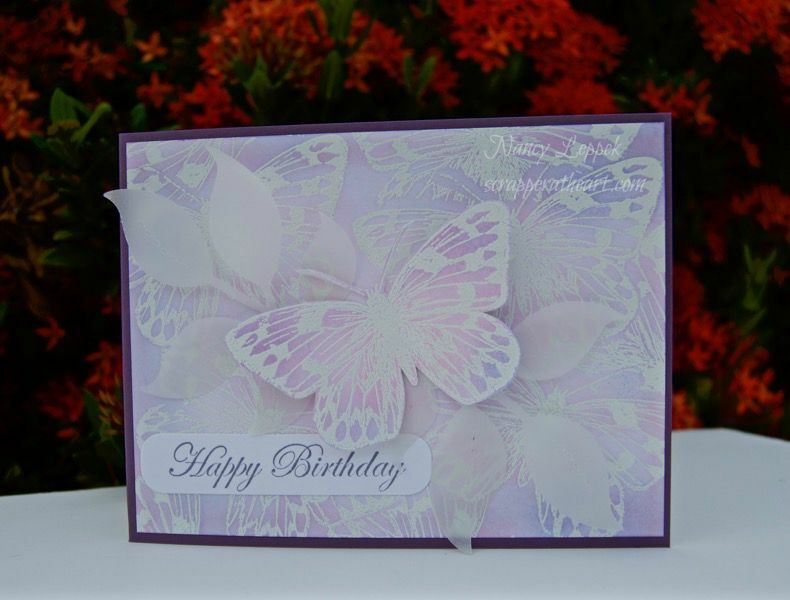 Categories: Cards | Tags: Card making, Cards, emboss resist, oxide inks, rubber stamps, stamping, Thank you card | Permalink. Hello, It’s that time again! 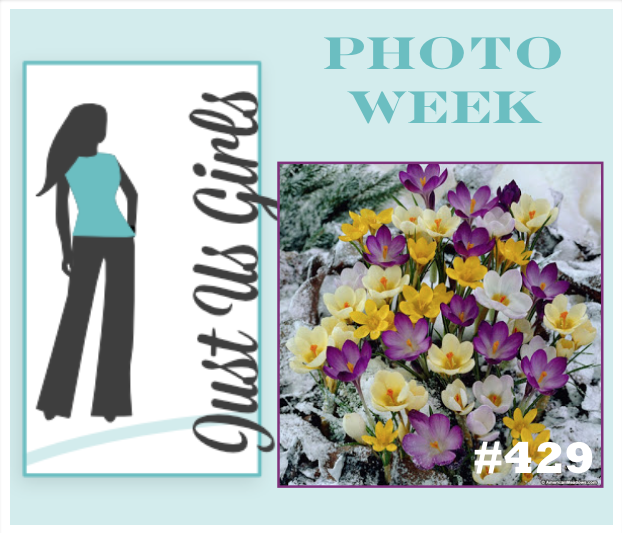 We have a Photo Challenge for you starting over at Just Us Girls. I had a lot of fun with this challenge. 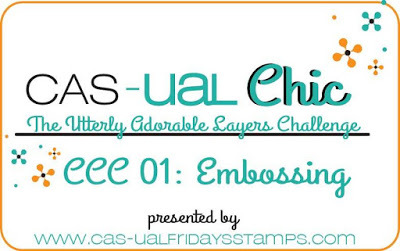 I first used one of my favorite stencils to make a background with my Oxide Inks. Then I decided to do a little emboss resist to mimic the new growth peering through the snow in the photo. Last, I got out my stitched flowers from MFT and sponged them with some of the same colors from the background. The sentiment is from Close to My Heart. 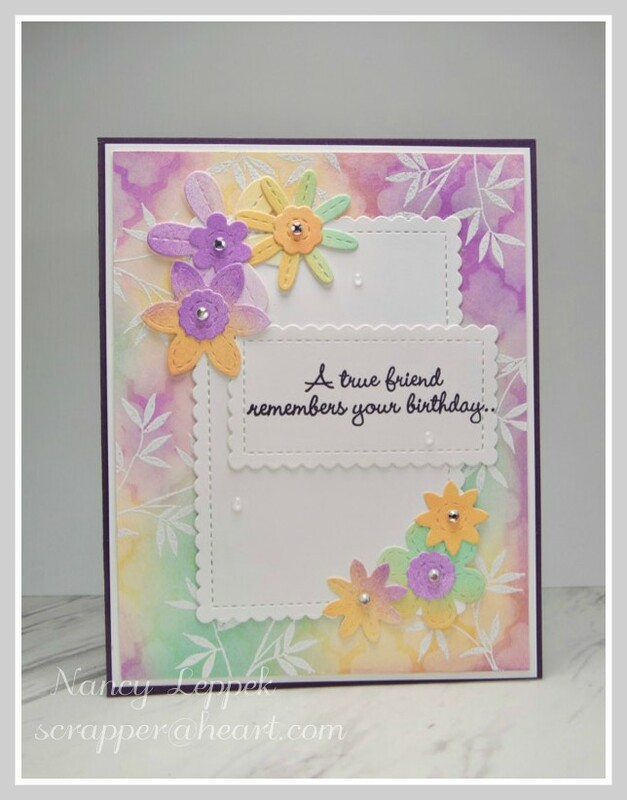 The entire sentiment will read…..A true friend remembers your birthday …..but not your age. Before I go I need to say thanks to Tenia for being such a fabulous Guest with us this month! 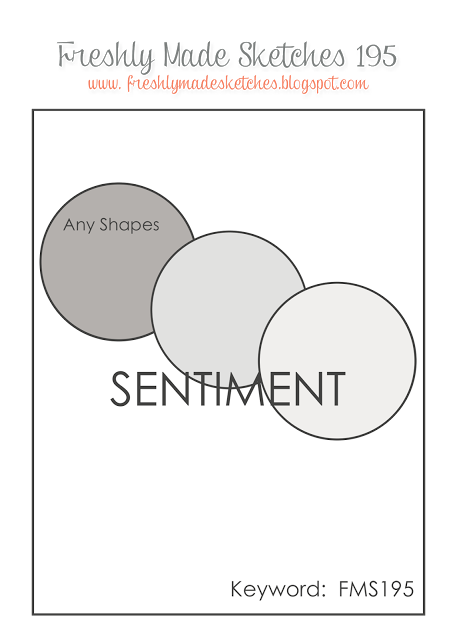 Categories: Cards | Tags: Card making, Cards, emboss resist, Happy Birthday, Inspiration, my favorite things, rubber stamps, stamping | Permalink.